FHG Media Enterprises is looking for the next powerhouse legal commentators, legal analyst and talk show hosts to become part of FHG’s 2016/2017 production of original legal series, talk shows and short legal updates in captivating form. No “stuffy” lawyer videos allowed! 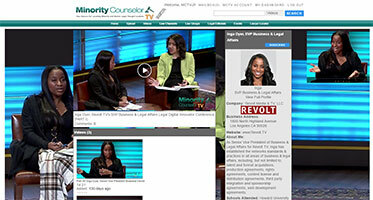 Pitch an innovative digital content idea – either as blog, podcast or video show to win cash prizes totaling $1,000 and we will produce & distribute your content nation-wide through MinorityCounselorTV and companion publishing site, MinorityCounselor.com. Cashier’s check will be delivered on stage. SUBMIT YOUR LEGAL INNOVATOR PITCH! 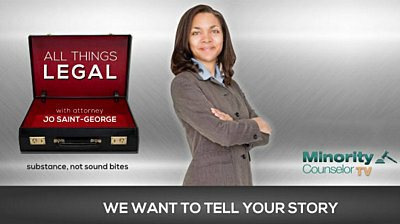 Tell Us Your Story! To submit your Legal Innovator Pitch idea (Yes, it’s like what Oprah did when she launched the OWN your show contest – but for lawyers) click the REGISTER button below. You must first sign-up in MCTV to create an account to post your video pitch. Complete the basic form, and please “verify” your e-mail. Check your spam for the verification e-mail. Then you will receive a “basic” free profile account and text listing in the network. But, to post your Legal Innovator Pitch for a practice area legal talk show, podcast or even blog series, you must subscribe to the network by upgrading your account in the Billing section on your Dashboard. When you upgrade your account, you will also receive a ticket to the MCTV Legal Digital Innovator Conference (LDIC) scheduled for March 27, 2017 at Howard University Crampton Auditorium. The LDIC is a game changing event that you don’t want to miss that is a $400 ticket price that you receive FREE for subscribing and posting a Pitch video. Click here to see the conference line-up and click here to watch last years conference. Also, your small monthly subscription investment for a branded MCTV channel can generate customers or land your next great professional opportunity because our job is to promote you as a “Rockstar Lawyer”! Besides, there is no other digital TV network on the planet that will brand, market and distribute your content to your end users 24/27 and allow you to have visibility even while you are asleep. So, the value proposition is high at a low cost. So, post your pitch today and join the “Counter Branding Revolution”. Your voice creates new narratives and can change the negative stereotypes into positive game changing opportunities! Click to see MCTV Media Kit. g. state how often you want to produce your content, weekly, monthly, every two months, or once a quarter. We know you have a busy schedule so monthly is good, and weekly gives you high visibility. h. Provide a catchy show name – to keep your name branding confidential – e-mail the name to: jo@fhgmediaent.com. We will do some very basic searches regarding the availability of the name on the internet. 4. Complete the new Video form – The first word of your video “Title” must be the phrase “2016 Pitch” , then your name, organization. 6. Wait for the upload scale to reach 100% to close out. It takes a few minutes after that to complete. Then share your video with friends to vote for your video. There will be a preliminary round of Pitches before a panel of judges on Sunday, March 26, 2107 and the top 10 finalist will pitch on stage at the conference on the 27th for the cash prize. The competition will be video taped in story form like “American Idol” so have your game face on. Semi and final round contestants will receive a branded channel FGH develops for the contestants as well as the show development that we will get sponsors to support. So, upload your pitch today! Even if you are not a finalist for the cash and prestige, FHG will work with all entrants to have your idea developed on MCTV as part of our practice area newsletters and programming. You may not get your own MCTV developed show, but you can and will be featured as a contributor on the produced shows, newsletters or podcast we develop. So, you still want to participate so you can be part of your practice area thought leadership community. All entrants will be published in one of the many Minority Counselor e-newsletters that will be distributed to various trade organizations in your practice area. Click below to view the sample e-newsletters. Have an idea for a blog, podcast or legal TV show? 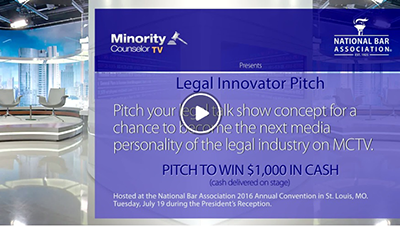 Enter the Legal Innovator Pitch to win cash prizes totaling $1,000. Not a winner? no worries! All registrants will be interviewed on the new MCTV show "All Things Legal" to give you a voice and highlight you as a "thought leader'. This is a win/win contest.